The single most important thing about Brexit for recruiters is….? As everyone working in IT recruitment knows, there has been a huge demand for specialist Java skills recently. They are not the only discipline that suffers from the lack of suitable candidates: put simply, there are just not enough people with the skills required for all our IT companies and what’s worse is that the supply coming through the education system is insufficient for our needs. That doesn’t just create problems for recruiters; it also is a major headache for government and those in charge of trying to steer our economy to the broad, sunlit uplands that all politicians promise but only a tiny few get even close to delivering. This, to me, is the crux of the matter for recruiters. Brexit will undoubtedly bring challenges and opportunities (and some disasters and successes), but one thing that was at the heart of many of the arguments from the Leave side was a desire to “take back control” of immigration. For those on the Remain side, one of the key benefits of immigration is that it brings to this country a lot of people who do work in a range of low-paid sectors, doing jobs that native Britons won’t do. However, far less is made of the importance of attracting the more skilled people from overseas who could be attracted to work here. For those in the know, the list of the job types that qualify for Tier 2 Visas are easily found, but these roles are not a major part of the continuing media debate about what will happen with Brexit. Yet as that IoD study suggests, the need for a clear strategy that matches immigration policy with recruitment needs is vital. It seems logical that, at the very least, the current list of Tier 2 job types allowed in from countries outwith the EU should be extended to include talent from Europe. At present, these are the following general IT areas where employers can seek a Tier 2 visa for applicants from outside the EU. However, while this basic list may seem quite broad, in fact the IT roles in the last category only apply to 2D/3D specialists for animation and gaming. What’s required is for the recruitment industry to lobby hard to ensure those with the more generic skills we actually need are able to come here – from everywhere in the world. At present, as you can see from a more detailed look at the actual list, there are several job categories/types which are exempt from the Resident Labour Market Test (a government requirement that means employers must prove to UK Visas and Immigration that no native or resident UK worker is available for the role). 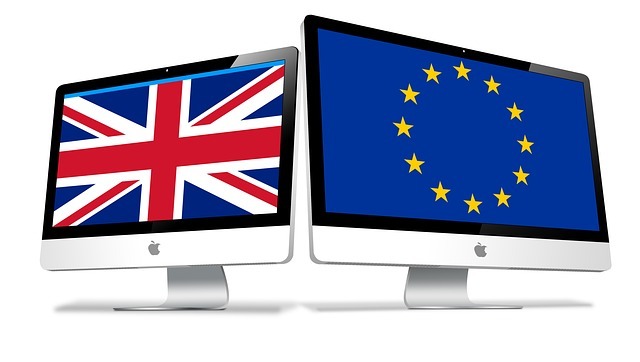 This Test prevents us recruiting in some key disciplines and how this might change post-Brexit is a vital question for the recruitment industry. It’s also important to realise that whatever this new strategy is it could be a double-edged sword. On the one hand, it is arguable that too many recruiters restrict their horizons when it comes to search/sourcing. The UK is a big and powerful economy, so we stick to what we know, namely British/EU candidates. Yet paradoxically, this may be part of our own problem; viz, that in sticking to what we know we don’t strive hard enough to find new talent, even from the EU. However, as we simply do not know whether or how we will be able to recruit from the continent in the future, recruiters may be forced to look further afield. That might not necessarily be a bad thing (all this presupposes that our economy does in fact do well post-Brexit and is therefore an attractive destination for job-hunters) but I suspect it will make companies and their recruitment advisers more aware than ever of the skills shortage. That, of course, could lead to other dangers for both UK recruiters and the UK economy, namely that some companies might up sticks and move their sites to other parts of the world where there is a local, cheap – and growing – supply of the necessary IT talent. Whatever happens, I think we may well see a major shift in strategy on the part of recruiters and our clients over the next few years. It’s estimated that by 2029 China will overtake the USA to become the leading economy in the world. India and possibly Nigeria (amongst others) will also become major economic powerhouses in the not too distant future. We don’t have long to attract some of these countries’ budding technical geniuses. Enticing them to study at our world-leading universities is one very important way in which we can do this, but again, as explained in the Guardian, the politics intervene, specifically around the issue of whether foreign students are counted as immigrants. This issue needs resolved as soon as possible. Another problem is that most recruiters aren’t able to speak other languages. Instead, as with the Java candidates, we simply revisit the same talent pools, found on job-boards and in our own, often stale, databases. There must be an advantage in being able to explain the intricacies of Tier 2 Visas (or whatever they become post-Brexit) to overseas candidates in their own languages. It’s an area of the graduate market that the rec-to-rec firms should be looking at in 2017. There may be a premium to be paid for a graduate who not only can develop as a resource but who also speaks a major world language (Mandarin, Cantonese, Hindi, Spanish, etc.). The alternative may well be that IoD survey’s fear that Britain becomes isolationist is realised, in which case we’ll see the recruitment industry continue to tap up increasingly annoyed candidates from a talent base that frankly is not large enough to sustain all the demands of our clients.